In case you’ve forgotten, Apple is here to remind the world in an all-new press release that iPhone XR pre-orders will finally kick off this Friday, October 19. The US is only one of over 50 countries and territories looking at an actual availability start on October 26, which Apple already detailed back when taking the wraps off its most affordable 2018 iPhone variant. 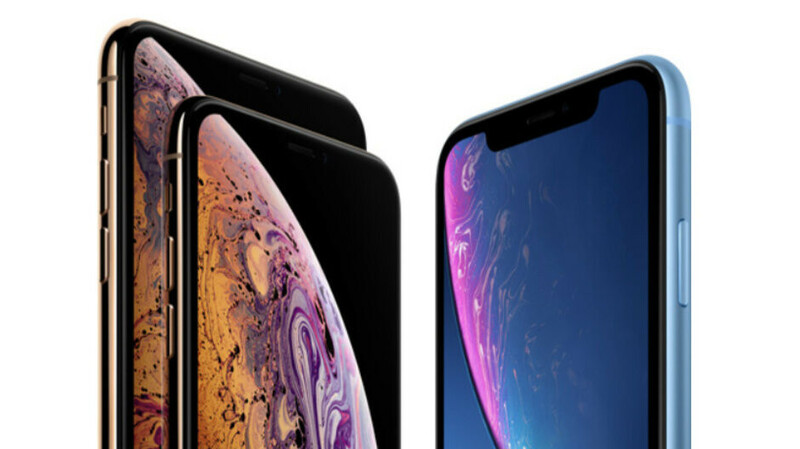 What we didn’t know until now is that the iPhone XR will quickly expand to more than a dozen additional markets. We’re talking Armenia, Bhutan, Brunei, Cambodia, Georgia, Kazakhstan, South Korea, Macau, Maldives, Myanmar, Ukraine, and Vietnam on November 2, as well as Israel a day earlier. Interestingly, the iPhone XR, XS, and XS Max are officially slated for a simultaneous debut in South Korea, which just so happens to be Samsung’s home turf. The iPhone XS and XS Max first saw daylight in 30+ countries and territories back on September 14, adding over 25 countries to that already impressive tally only a couple of weeks later, and gearing up for further expansions right now. Apart from South Korea, the two OLED screen-sporting powerhouses are scheduled to go on sale in more than 10 unnamed additional countries and territories on November 2, as well as Chile, Colombia, Malaysia, and Thailand on October 26, with pre-orders kicking off this Friday, October 19. Overall, Apple seems confident there will be no iPhone XR shortage similar to what the iPhone X experienced a year ago, despite most analysts and industry sources predicting rampant demand. The XR, along with the XS and XS Max, want to (gradually) take over the world, which appears like a totally doable goal. Jamaica? Not that I would buy it anyways. I smell close to 3 grand for X's Max. The XR is gonna sell huge. Giant screen, cool colors, great battery life, wireless charging, IP67, and reasonably (for Apple) priced. Hey DJ, have you seen this test?https://youtu.be/RF6-eLoNwZQ Even though I hate PhoneBuff, this battery rundown test was pretty fair. However as I tell PA, any condition of a phone that is changed from how a phone comes out the box, is an unfair test no matter who wins. The only thing he claimed he changed was, he made the NITS 200 for each. As if we could tell. But though I'm not surprised at the result, it just more proof that PAs claimed scientific test are bogus and rigged to favor their brand of choice. Saw it day one. It’s crazy, cause I’ve seen them both win tests. Apple gets low sales from every where except Europe and US. Without those 2 Apple wood sell less phones than most Android OEMs. In my 2nd country home, last year Apple sold less than 1.4M phones, in a country with 150M citizens. Without the US an its form of credit, also known as debt, Apple would be completely out of business when you consider what their products cost outside the US. On my 2nd home, the iPhone S Max for the 256GB is just shy of $1700USD. That is ridiculous expensive. I couldn't imagine paying that for a phone of any brand. The Note 9 is the most expensive phone I've bought. I will keep it and the Note 10 until they die or are no longer supported with updates. Phone prices are getting out of hand. The main reason the US doesn't want Huawei and Oppo and ZTE to sell phones in the US is because Apple would lose a significant amount of business. It's just that simple. If China wanted to spy on the US, they have plenty of citizens here who could do it. It's funny that the iPhone XR is cheaper than all Mate 20, Pixel, and Galaxy Note 9 but it is faster. By the time next year when their 2019 models will finally match the XR in performance the Xr will be by 100 dollars cheaper still... What is more funny... both Google and Huawei copied the notch but they still have the chin which is a stupid decision when you go notch.